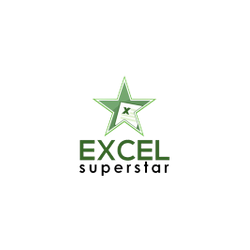 Excel Superstar offers courses that are uniquely designed to give you a complete tour of Excel and its Techniques. Anyone who wishes to master MS Excel or any other Microsoft Office Tools completely can do it here. The mission is to turn our learners into Absolute Professionals who have complete knowledge about MS Office Tools. Our Course has got 170+ video tutorials to benefit your Excel and other Microsoft Office course-based Knowledge. These video tutorials will help you to learn ‘How to deliver faster while doing less work.’ These are Educational Videos having fun elements as well so that the learners do not lose the interest. Fun Elements are the extended benefits to users which helps in memorizing the lessons well. The same video tutorials are put up on our Website and YouTube Channel. There are training files that will be made available to the Learners. Since you’re getting the Tutorials in the video form, you need a laptop or a Computer. You need Microsoft office tools in your PC like MS Excel. If you have a smartphone, such an add-on, view it while you’re free, traveling or whenever you wish to. This offer is valid in all over India. In case if you’ve any question or doubt, feel free to clear your doubts. We’re available for assistance.